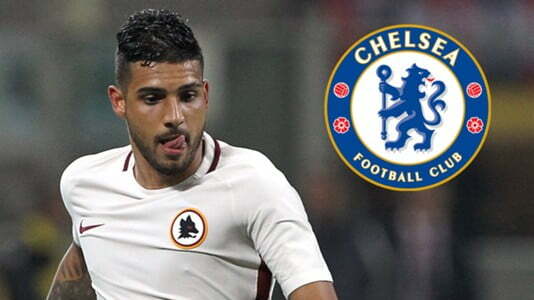 Fernando Garcia, agent of Roma defender, Emerson Palmieri has disclosed that the Italian club are in talks with Chelsea over a possible move for the 23-year-old. According to Garcia, the Italy International’s move to Stamford Bridge is a “concrete possibility”. “There’s nothing certain yet,” he told Calciomercato. “We are in a phase of discussion and evaluation. “Chelsea are a concrete possibility, absolutely. Now the two clubs are talking, so we will see if they reach a positive conclusion. I have no planned trips to Italy, at least for the moment, as we are waiting for developments. “Obviously, Emerson would love to play in the Premier League and it would be a dream to work with Conte, as he is among the best coaches in the world,” he said. Emerson has only played twice for Roma since returning from a serious knee injury at the start of December, but he did make 25 appearances in Serie A last season.